Fixed memory leak when changing the floppy disk image. The joystick game controler will now respond to all POV/hat switches. 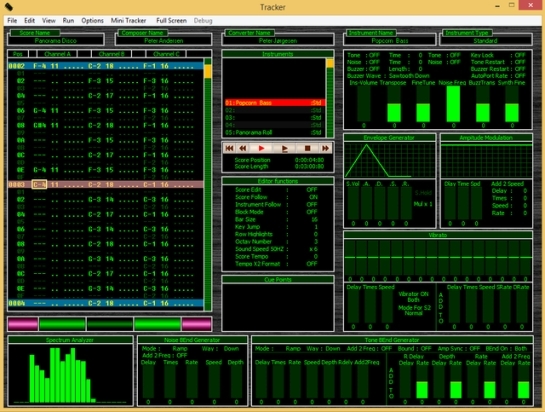 Project Ymer is a chip tracker and YM file player, programmed by Peter Jørgensen (Denmark), 1999-2017. Turn Tone/Wave on-off in vibrato, bend and arpeggio. XML format definitions : Korg DSS1 DD disks added. XML format definitions : Emax II disks added. Command line tool : USB loader -> Raw loader added. New Writer : Thomson *.FD writer. Thomson *.FD loader fixed : Side 1 ID corrected to 0. D88 Writer fixed : Cylinder and Side ID correctly set. ImageDisk (*.IMD) export : Deleted data mark and data CRC error flags supported. FAT12/16 Disk browser : Entries First cluster readback corrected. (With high word uninitialized). IMG loader : More disk sizes support added. DosDiskBrowser : 1.743MB & 1.764MB added. 64bits systems : Batch converter and Dos Disk browser issues fixed. MacOS X & Linux version : file export -> Auto-append the file extension. Track editor : Disk flux stream reverse function. Track viewer & editor : GUI layout changed/updated. Added Benjamin ‘BeRo’ Rosseaux’s P64 1541 file format. 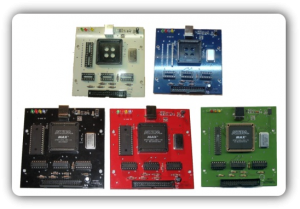 Hoxs64 incorporates the P64 source code written by Benjamin ‘BeRo’ Rosseaux author of Mirco64 http://micro64.de The P64 disk representation with its linked list management is now used as the internal real time representation of the disk. CBM prg Studio Version 3.9.0 is released. There are a lot of new features in this version. I’d really appreciate it if you report any bugs you find or have any suggestions/comments. CBM prg Studio allows you to type a BASIC or Machine Code program in using a nice Windows environment and convert it to a ‘.prg’ file which you can run on an emulator, or even a real C64 / VIC20 or PET if you’re feeling brave and have the right kit. 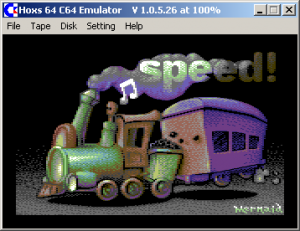 CBM prg Studio is the result of merging C64PrgGen and VIC20PrgGen. Adding new features and fixing bugs in two apps which were 95% similar was a bit of a nightmare so merging them made sense. Programs are project based, meaning all related source files, sprite files etc. are kept in one place and multiple source files can be linked more easily. 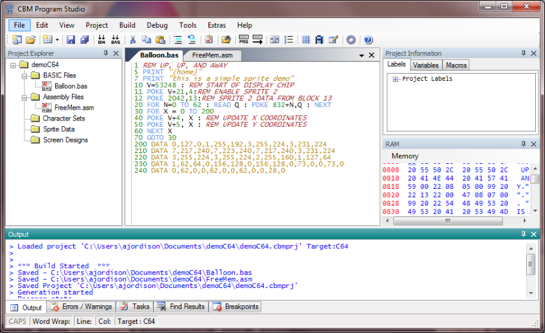 What CBM prg Studio isn’t is a front-end for tok64, cbmcnvrt, bastext or any other tokeniser / detokeniser / assembler. It’s all been written completely from scratch. Pass label names to debugger. Show ECM register in status bar. Autolaunch prg name is per project. Abbreviated commands for BASIC 3.5. Removed spaces on code generation. ECM tools (re-colour, box, text). Some character translation issues (‘[', ']‘, ‘_’) etc. Fixed quoted and DATA strings for basic 3.5. See the help for a complete list of new features and fixed bugs. Note In this version, each target machine can have its own default project directory. If you are upgrading from a previous version (before version 2.5.1) of CBM prg Studio you may be asked to set up your project directories again. Your current projects will not be affected. Below the post of the author on Atariage Forum. A new firmware and flashtool is availible for Sys-Check V2 series. Of course the flashtool (and all other documents) are written in german and english. Also there´s a new firmware V1.4 out. This firmware can be used with ALL Sys-Check versions – also with the old V2.0 (without flash). Owners of the V2.0 must burn the 16 KB firmware image into a 27128 EPROM. All other please use the flashtool to update their Sys-Check. 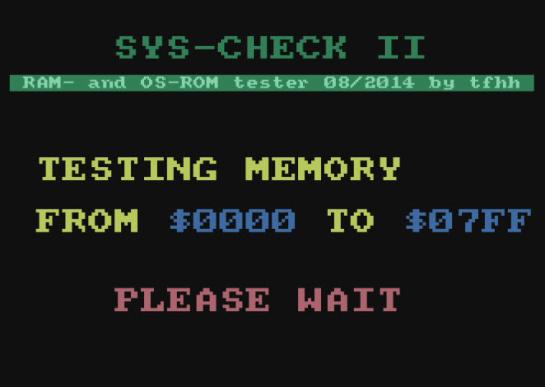 Sys-Check can be used with the U1MB expansion. When bad memory within the first 48 KB is found, the upper 16 KB will not be tested. If memory is fine, OS-ROM will be tested as before. If both tests are fine, then pressing START after this will set Sys-Check into endless loop test mode. Memory and OS-ROM are tested infinite – until any error occurs. During memory tests the background will be coloured red if defective bits were detected. CBM prg Studio Version 3.5.0 is released. There are a lot of new features in this version. I’d really appreciate it if you report any bugs you find or have any suggestions/comments. Remember ‘close start page’ state. Imported sprites had the same data. Select mode on scratch pad didn’t work. Left arrow generated wrong code. Multicolour chars flip left/right not working. HD floppy disk format issue corrected : write buffer size corrected. Last selected image save issue corrected. Fast backward/forward mode : Keep the button pressed to speed up the image change. Press both buttons in the same time to jump the autoboot/file selector image. Press both buttons in the same time to jump the DSKA0000 image. Up to 1000 indexed images (DSKA0000-DSKA0999). 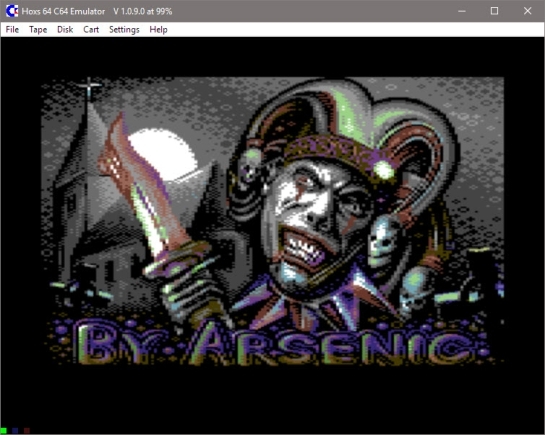 DirMaster supports common (and uncommon) emulator disk image formats (such as .d64, .d81, .d2m, etc), almost every native Commodore archival format (such as .arc, .sda, .lnx, etc), and many native graphic formats (such as koala, doodle, amica, etc). DirMaster was designed to give users a perfect blend of familiar appearance (e.g. natural looking disk image contents using the PETSCII character set) and modern GUI functionality (e.g. drag and drop, opening multiple disk images at once). 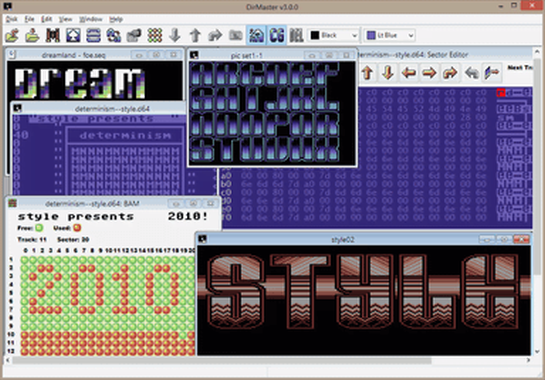 The first version of DirMaster was released in 2006. Disk initialization when unzipping a 1-4! zipcode set when dragged from Explorer. Windows Explorer right click context menu, “Extract All Here”: extracts all files from the disk or archive file into the same directory. Add %H parameter to run in, to convert filename to $ hex characters. File properties adds file size in bytes and md5 hash. Mouse over a sector in the BAM shows the file name and sector. Selecting a file will number the linked sectors in the BAM. Tweaks to batch output (html, seq, txt, csv), GEOS file handling, disk error handling (23/24/27/29), sfx/sda title handling, PETSCII tool. Bug fixes addressing d2m, d4m, d81, t64, g64, nib and other general functions. CBMXfer is a front-end to several command-line utilities for transferring files and working with disk images. CBMXfer makes using those utilities easy by providing a familiar windows interface that removes the need to learn the commandline syntax of each program. CBMXfer also includes a multi-format file and picture viewer. OPENCBM – transfers files/images to/from a real CBM drive connected via an ‘X-cable’ on the parallel port. CBMLINK – transfers files/images to/from a real CBM drive connected to a real CBM computer connected to the PC via a serial cable. C1541 – a utility from VICE that works with CBM Image Files (ie: D64,D71,D81 files). NIBTOOLS – Utilities to transfer images via parallel port. Supports protected disks. IMGCOPY – Utility to image IEEE and 1581 disks. ML viewer is a full two-pass symbolic disassembler! Tandy TL/2 write issue corrected – glitch filter reduced (Probably solve write issue with some others machines too). 2 digits display init issue corrected (I2C timeout reduced). LCD support: Characters glitches with some long file name corrected.